What is prosperity? It is defined as being without lack, flourishing financially, a state of being successful in all areas or your life. What is abundance? It is defined as having a very large quantity of something or many things to include material and non-material things. What kinds of non-material things create or manifest as abundance? Non-material things include love, friends, health, contentment, harmony, balance and peace of mind. 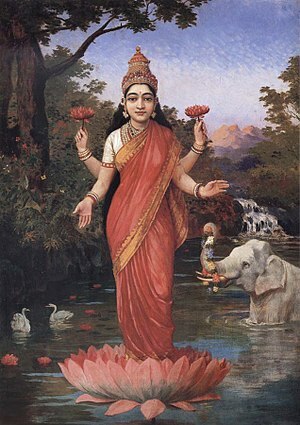 Lakshmi is the Mystical Goddess of prosperity and abundance. She will assist you, when asked, to clear any energy blockages preventing you from attaining that which you desire. This loving Goddess will assist you in realigning your vibrational frequency, allowing the free flow of energy, attracting prosperity and abundance to you. Lakshmi will guide you. Be open to experiencing new things, exploring new ideas as you manifest wealth in ways you have yet to imagine. Prosperity can and often does manifest in many forms. For example, if someone chooses to give you a cup of coffee or hot chocolate, you have prospered. When you are given a gift of something you would like to have, you have prospered. When you give a gift to someone else, you have expressed a state of abundance. Expressing gratitude is a measure of abundance. Yes, prosperity and abundance are about financial gain. Yet it is not always about the exchange of money. If your money energy, your Solar Plexus Chakra energy center is blocked, it will more difficult to attract to you circumstances and opportunities to prosper. Take a few moments and think about the possibility of increasing your earning power simply by releasing outdate thought patterns, old mindsets and beliefs which have been limiting you. As you increase your prosperity and abundance you are able to do more, to help more people, spend more time with family and friends. Crystals and Minerals associated with Lakshmi are: Aventurine, Malachite, Green Tourmaline, Carnelian, Red Jasper, Citrine, Tangerine Quartz and Imperial Gold. Child of Earth, do not think about what you do not have. Think instead about the many blessings, the many gifts you have already abundantly received. Think instead of releasing any thoughts of lack. Replace thoughts of having to do without wit thoughts of gratitude and appreciation for all that which has already manifested before you. Express sincere appreciation for all that come before, delivering you to where you are now and where it is you have yet to arrive. There is no shame except that of doubt and shame about all that has not yet arrived in physical form. There are many who seek your courage, the loving energy which radiates out from your heart center. Be at peace, releasing you to my open arms which hold for you all that is promised. Be at peace for all is well. Be at peace allowing all to unfold before you as the Lotus Blossom reveals its treasured seed pod of bountiful seeds filled with renewal and regeneration. Be at peace child of Earth. Become aware of where you are mentally and emotionally concerning your Solar Plexus Chakra energy. If you envy what another has, consider re-focusing your thoughts and emotions and rejoice for their good fortune. In this way, this simple way, you being to release energy blockages within you, attracting prosperity and abundance to you. Be in a state of gratitude and appreciation for all that is no longer a part of your life and your path. Be in a state of gratitude and appreciation for all that is a part of your path and your life now this moment. Be in a state of appreciation and gratitude for all that is yet to be for it is coming. The only question remains, are you open to receive or are you delaying all that is yours? What Are Mystical Gods and Goddesses? There are numerous legends of how the Earth and civilization were created. Each and every culture has its own Gods and Goddesses, many of whom seem to cross cultural lines in Ancient Mythology. The names of the Gods, Goddesses and Deities are different, yet legends are passed down from one generation to another. As with all things, legends of Creation have stood the test of time. Meaning, there are stories that reveal the lives of Mystical Gods and Goddesses as having once walked the same lands people walk today. In my way of understanding, for a story or legend to have survived so many thousands and thousands of years, there must be more to them than it would first appear. The word Mystic refers to one who brings or shares new Spiritual Truths of knowledge and wisdom. It is also a truth that the sharing of these truths may not be new in the sense that they are newly discovered, but in the way they are being presented. A Mystic, is someone who utilizes all of his or her Psychic Senses, interweaving all they have learned and all they are, through eyes of loving kindness and purity without judgment. It is someone who chooses to expand their own sense of awareness, raising their consciousness so that they experience their Higher-Self. Ego-chatter not only becomes manageable, it begins to disappear for greater and greater lengths of linear time. It is about seeking the inner-Self, the truth of who you truly are and accepting all facets of being in physical form as you strive to align yourself with Divine Source. Being Mystical is the perception of all experiences and situations through higher levels of consciousness or higher vibrations of mental energy. Ancient Gods and Goddesses descended from the Etheric Dimension into physical form. Here they remained until their purpose was completed. The Greek Gods and Goddesses retired to Mount Olympus. 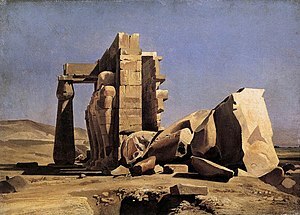 The Ancient Egyptian Gods and Goddesses as with many others, reside in the space in between the Realm of Spirit and that of dense physical matter, the Ethereal Dimension of non-form. In my perception, there is form in the Ethereal Dimension, it is vastly different from what we understand form to be. Like the Ethereal energy body which surrounds your physical body, it has form and yet it does not. Mystical Gods and Goddesses are revered Deities from the days of the beginning. Divinity is a way of life; it is the way in which they reached through physical form transcending into the Ethereal Dimension. To invoke the help of an Ancient Mystical God or Goddess, quiet your mind, open your heart and be willing to hear sense and see all they have to offer you. Call upon the Mystical God or Goddess which resonates with you the strongest, place your request in their open, waiting hands and surrender the time, and the outcome of all you desire knowing you will receive the guidance you have asked for. What is compassion? It is often characterized as being sympathetic or having concern for someone or something other than you. Truth be told, practice being compassionate first with you and allow the grace of compassion to flow from within you to all who walk the path with you. Quan Yin is the Mystical Goddess of Compassion and Mercy. She will assist you with opening your heart first to yourself. Once your heart center begins the healing process, loving kindness radiates outward to others. There is no greater thing than love and compassion. Compassion opens the heart. Love heals all things on all levels in all directions of time and space. There is no greater power than love. There is nothing that love cannot resolve. Be advised that you may or may not see resolution manifest into physical form. It is the intention that ultimately creates the pathway to resolution in a loving and compassionate way. Tourmaline. All of which resonate primarily with the Heart Chakra energy center for healing and self-love. This Mystical Goddess is always depicted on a Lotus Blossom or holding a Lotus Blossom. The significance of this delicate and strong flower blossom is one of renewal and regeneration. It is the symbol of transformation and transcendence. The Sacred Blue Lotus emerges from the muddy depths of the pond, bursting forth in full bloom with the first rays of the Sun. As dawn soon gives way to mid-day, the Sacred Blue Lotus closes once again into a bud, retreating back beneath the surface of the pond into the murky waters below. This cycle of renewal and regeneration continues for three days and three nights. The Sacred Blue Lotus symbolizes the cycle of life. I t is associated with the concept of love; regeneration and renewal. 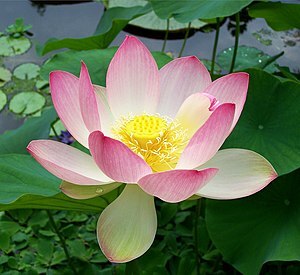 The Lotus flower is symbolic of calmness, peaceful serenity. Ask Quan Yin to assist you with compassion to see the beauty of nature and your core essence which is truth, love and light. Be merciful with yourself as you walk the path before you with an open heart and an open mind. Your Spirit is in alignment with your inner truth. Give you the gift that you are able to give to others that of mercy and compassion. You cannot give to others that which you do not first give to yourself. If you do not love you, there is less to give to your partner, your children, your family and friends and yes, even to co-workers. Expressing compassion is being merciful in thought and deed. It is the gift of your smile to others. It is a kind word, a small gesture of appreciation. The Ancient Egyptian Goddess of Integrity, Discernment, and Truth, Ma’at, will invoke and summon truth from the deepest recesses of shadow and darkness. If you are unsure if what is before you is truth or for your highest and best good call upon Ma’at to assist you in discerning that which lay beneath surface appearances. Be aware if you should enlist the guidance of this powerful, yet compassionate Goddess to be in alignment for all you seek answers. Knowledge is a tool used for many things both negative and positive. She will mentor you if you are pure of heart, with only the highest of intentions for you and for others. The gift of discernment is manifested through truth and integrity. Do not be surprised if the Goddess Ma ‘at reveals truths where there once was disillusion and deceit. Crystals and Minerals associated with Ma’at are Tabular Quartz, Sugilite, Clear Quartz, Amethyst, Lapis Lazuli, Green Tourmaline, Nirvana Quartz, Aqua Aura, Tanzan Aura and Tangerine Quartz. 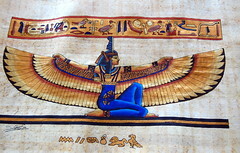 Mystical Goddess Ma’at’s unique energy permeates or flows into and through all of your Chakra energy centers. The projection of integrity and discernment radiates outward into all you, do, say and feel. There are always two sides to each thought, emotion and to each action. Whether you choose light or shadow is and always will remain your choice. Seek the light and the light shall always provide for all your wants and needs.